There has been a tremendous amount of hoopla related to research conducted by Microsoft to measure the attention span of a group of more than 2,000 Canadians. This research was first conducted in the year 2000 and the average attention span was twelve seconds. When the research was conducted again in 2015, the average attention span had fallen to eight seconds. Research shows that the attention span of the average gold fish is nine seconds. How can this be? What implications does it have for the modern learner? 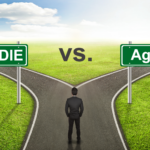 What does it mean for today’s learning and development professional? “The true scarce commodity of the near future will be human attention,” Satya Nadella, Microsoft CEO. To state it simply, Microlearning is learning in short bursts, which learners can access at any time. They typically use video and or other media to help maintain learner attention and, depending on the source, can be four to five minutes in length, or as short as 60 to 90 seconds. Part of the reason Microlearning is exploding in popularity is it parallels the way many people (and especially Millennials) prefer to learn. With the growing presence of Millennials in the workplace, there has been an outcry for Microlearning. To help learning professionals learn about Microlearning, ATD has even launched a Microlearning Certificate program. What Are Some of the Core Attributes of Microlearning? Time – Learner interactions with content, activities, and information in minutes, rather than hours, days, weeks, or months. Portability – Content can typically be accessed from anywhere often in multiple media types. Stand Alone – Content has meaning by itself, as a self-contained module. At the same time, learners can still get value from bundles of Microlearning content. 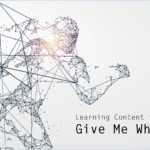 Uses – Microlearning can be used as memory joggers, reinforcement, component parts of other learning programs, educational marketing pieces, teasers, etc. Media – These learning nuggets can be short videos, audio files, super short eLearning modules, quizzes, electronic flash cards, checklists, etc. Current – Microlearning aligns with the way most people seek information and answers, i.e., by searching and reading or viewing videos, etc. We are all overwhelmed by information. We are continually bombarded with new streams of information, which our minds are trying to capture, process, filter, and internalize, all of which shortens our already short attention spans. To better serve learners grappling with these realities, learning and development professionals should consider making more, and better use, of Microlearning assets.